This package is a beautiful way to record all the key moments of your child first year. This consists of three photoshoots, one at 4 weeks (giving you time to adjust to parenthood) one at 6 months, and the last at a year. 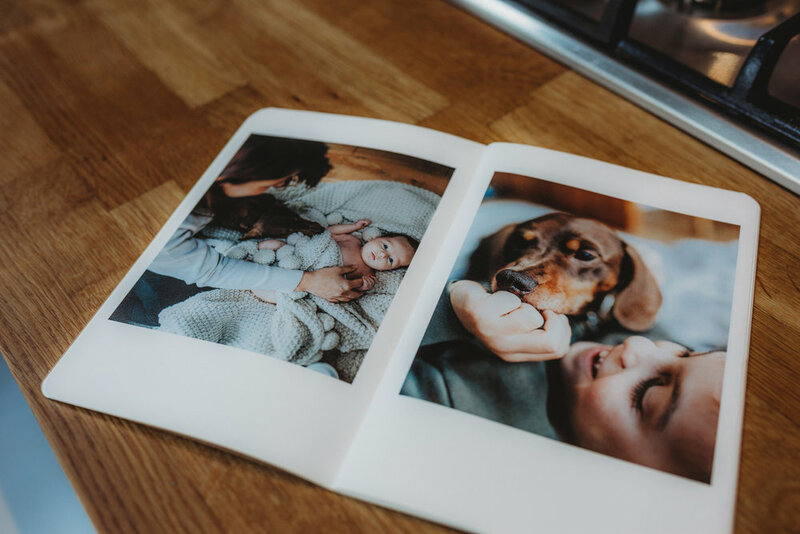 At the end of each shoot you will receive images in an online gallery and once all three shoots are completed you will receive a small 20 page journal of your year - see below. Please provide a detailed location, postcode and address where possible. You are entitled to privacy with your images, I just need to be made aware. If you DO NOT give permission for me to use images on social media or website please indicate below. If you do give permission, some images may be posted on instagram, Facebook and my website over the coming months. Please be aware of obtaining permission from parents of other children involved in the shoot as well as children or young people who are fostered or adopted. Jo Greenfield plans to be on time at the agreed location, sometimes due to unforeseen circumstances she may be late or have to cancel the shoot completely. This may be due to weather, travel arrangements, illness or family bereavements. Where possible, she will attempt to re arrange a later date OR give a full refund of all monies paid. If you, the client cancels the shoot before one week of the shoot date for ANY reason then the £75 deposit will be retained. The remaining monies will be refunded. If you, the client cancels the shoot within 24 hours then the full amount will be retained by Jo Greenfield. Please indicate you understand this disclaimer.